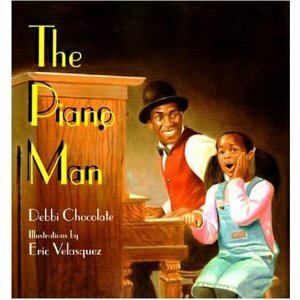 Having authored over twenty picture books for children, Debbi Chocolate epitomizes the 28 Days Later Vanguard honoree. 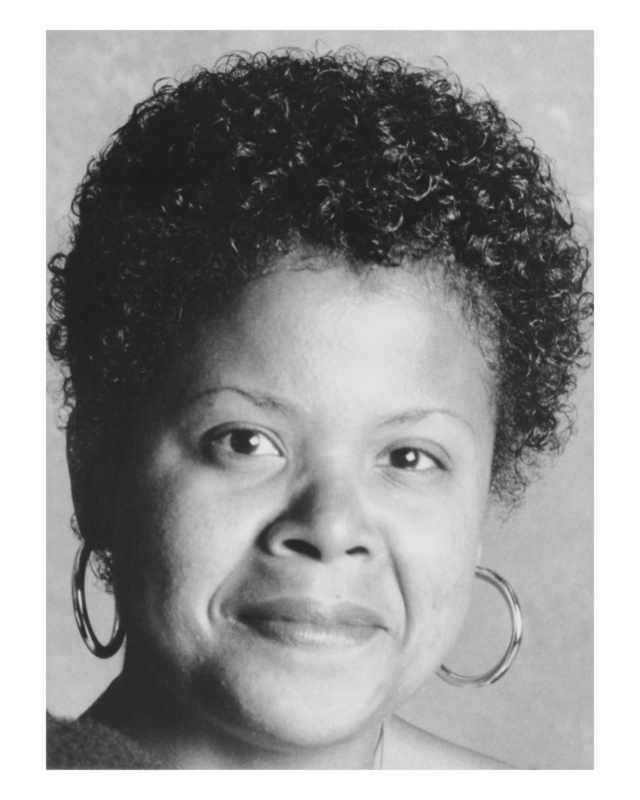 Her books include the CSK/John Steptoe Award-winning, The Piano Man; Parents’ Choice Award winner, Talk, Talk: An Ashanti Legend; and the highly acclaimed, El Barrio. 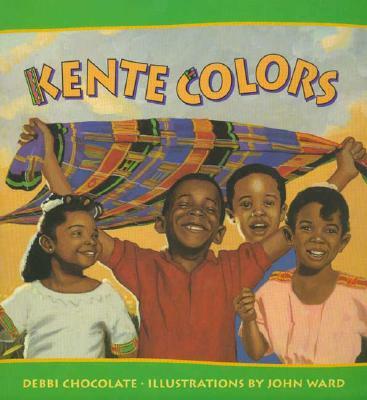 Chocolate, a graduate of Spelman College and Brown University, is a former children’s book editor whose work has been featured on both Sesame Street and Reading Rainbow. On day thirteen, it is our honor to present Vanguard author, Debbi Chocolate. I grew up in Chicago, the youngest of five children. My father was a mailman and my mother was a housewife. My grandmother danced in stage shows; my grandfather was a musician. My mother was always fond of books. I like to think that she passed her love of books, music, and theater along to me. I learned to read when I was only three years old. By the time I was seven, when I wasn’t reading, painting, or drawing, I was busy recreating my mother’s childhood memories of the theater into my own stories. The Mary Poppins books were the most memorable for me back in those days. I always knew I would do something in the arts when I grew up. When I was eight years old, my mother bought me my first oil paint set. At that time, I thought I would become a painter. Music came later. I turned into a serious band musician by the age of thirteen and was quite accomplished before I graduated from high school. Sandwiched in between painting and music ca me my love of film. I was nine years old when my mother bought me an eight-millimeter film projector with a limited collection of feature length and animated films. On Saturday afternoons in late autumn and early winter, when the weather was too cold for my friends and I to play outside, I’d set up folding chairs in my basement, pop popcorn, and sell tickets to my “movie theater” to all the kids in the neighborhood. Even though I showed the same films every Saturday, my friends didn’t seem to mind. They kept coming back every week. As I grew older, I found myself writing stories more often than I found myself painting, playing music, or showing movies to my friends. Now that I am a children’s book author, I realize that what I had discovered was a way to put all my artistic loves onto paper. Before I became a writer of children’s books, I worked as an editor of children’s books. As an editor, I read so many picture books that I found it easy to sit down and create my own. The first children’s book I wrote was published right away. The publisher said they had been looking for a book just like the one I had written. I felt very lucky. I still get my ideas from movies, paintings, music, and the theater. I am a big fan of musical theater. I go to the theater at least once a month. But also, the children I meet and my own two boys often provide the foundation for an interesting or delightfully funny character for me to create. My purpose is a lways the same: I write to entertain. And, more often than not, I write to share my vision of life’s hope, its beauty and its promise. What do I like most about writing for children? It’s meeting kids who love to read, and who have enjoyed reading the books that I have written. For those who want to be writers, my advice is to keep reading. Reading is what makes a writer. Though I write both picture books and juvenile novels my two favorite books are Catcher in the Rye by J.D. Salinger and The Outsiders by S.E. Hinton, two coming of age novels. These two books are my inspiration because they are about characters who don’t fit in. I’ve always felt I don’t fit in. Somewhere along the journey I have come to realize that I am an artist. And that by virtue of being an artist, I don’t have to fit in. 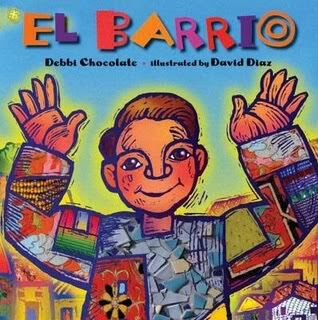 My picture book El Barrio, was published at a time when the Spanish language was beginning to impact public education in terms of the increasing numbers of Spanish-speaking students matriculating in American schools. I saw the trend coming. I wanted to be a part of the community opening the door to these kids, as well as to the children who were their non-Spanish-speaking peers. I have since discovered that both sides of that door were well served by my publisher, who recognized the significance of contracting my story and turning it into a book. Thanks to the swelling numbers of children who still love to read, the industry remains healthy, wealthy, and wise.